Do you like asparagus? You will love this recipe! 1. Heat olive oil in a large frying pan over low heat. 2. Add asparagus, cover, and cook for 5 minutes. 3. Add Spike seasoning, stir, and cook an additional 1 minute. 4. Add lemon juice, stir well and serve. 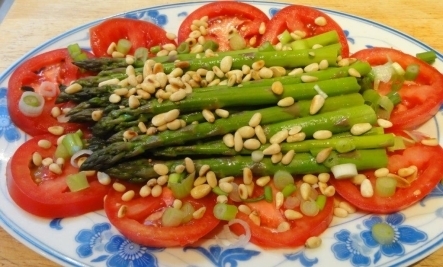 Nutritional Tips: Asparagus is full of nutrients! It is a very good source of vitamin K, the B vitamin folate, vitamin C, vitamin A and also numerous B vitamins (B1, B2, B3 and B6) as well manganese, copper, phosphorus, potassium and protein. We use asparagus in our Spring Cleanse BootCamp! Which supermarket carries SPIKE SEASONING ? Most of the large supermarkets in Canada sell it. You can use your choice of vege salt.